to live a healthier life. 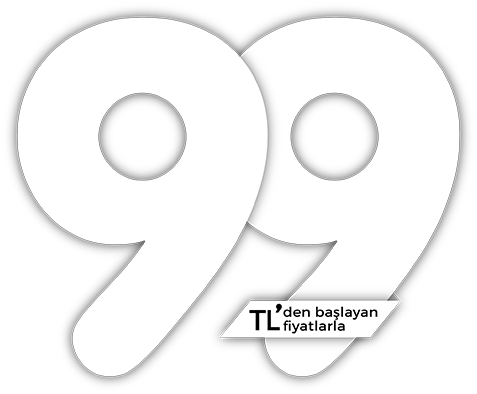 Where to eat in Denizli? Where to eat dessert in Denizli? 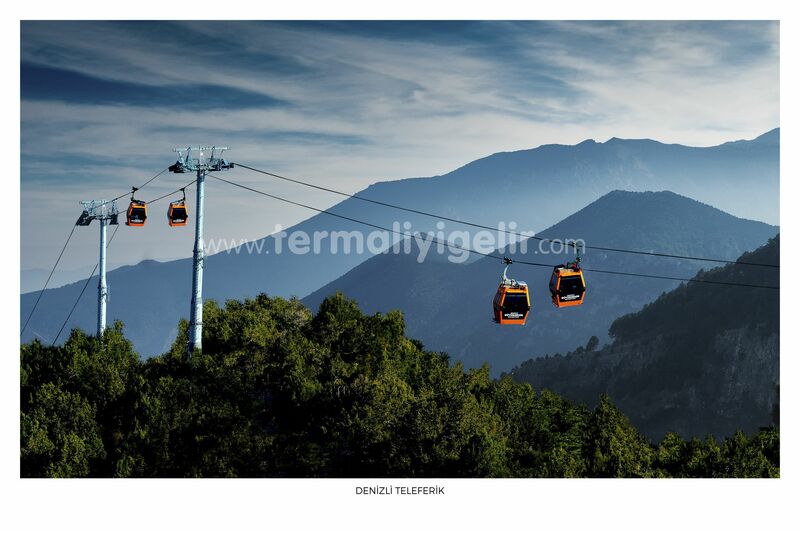 Where are the textile products purchased from Denizli? 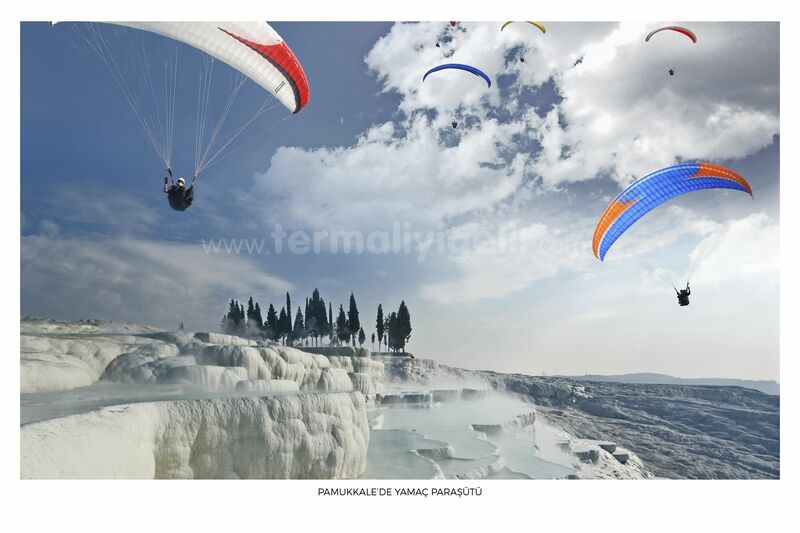 Pamukkale travertines and antique city of Hiearapolis in the list of UNESCO World Culture Heritage are locations where two million domestic and foreign guests visit in a year. 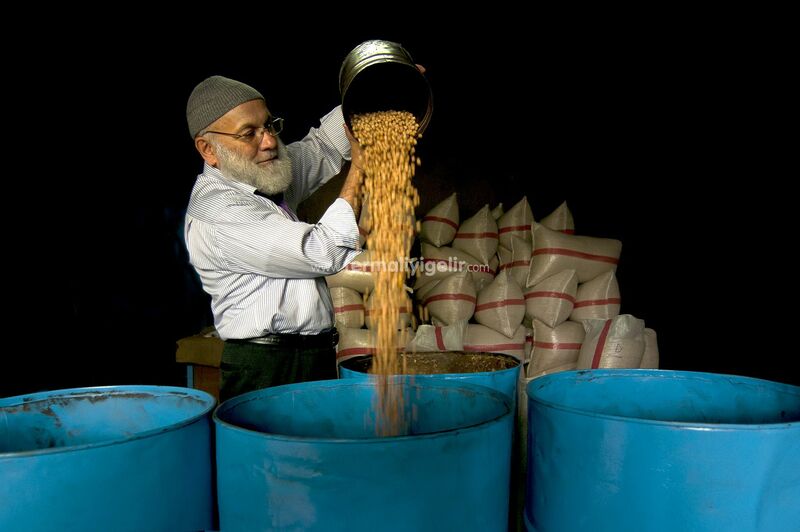 For thounsands of years, these have been being known as remedy for rheumatism, skin diseases and a lot more illnesses. 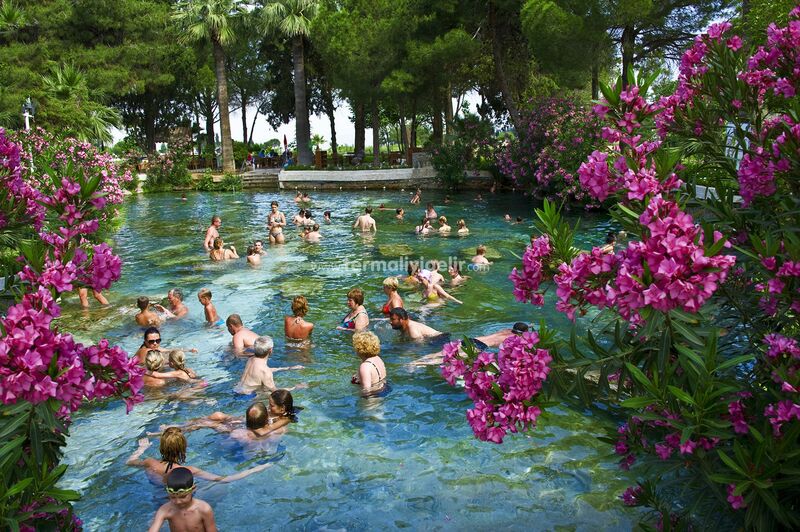 Having been totally health centre with its city surrounding in the period of Roman Empire, thousands of people had come to baths which are more than fifteen existing in, Hiearapolis which was defined as Gold City on its doors fascinates you all with its antique pool that is one of the rare pools of the world. 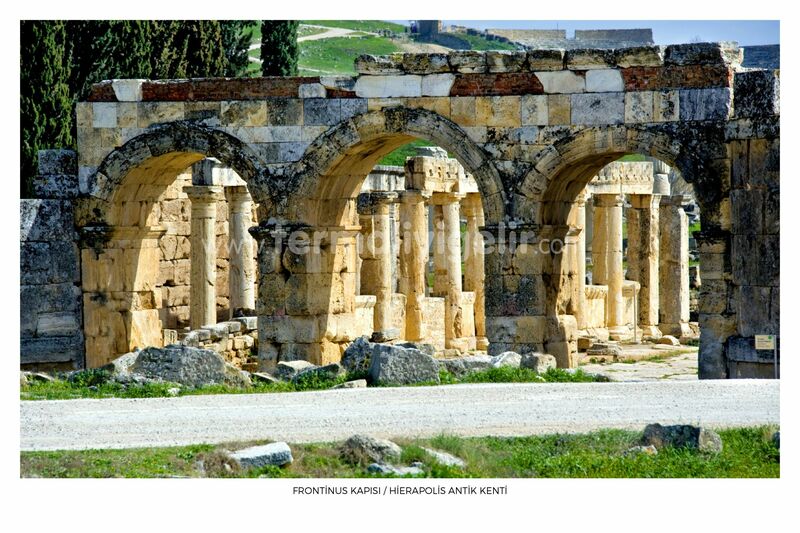 Hierapolis ancient city with unique beauties takes part in among special antique cities of the world. 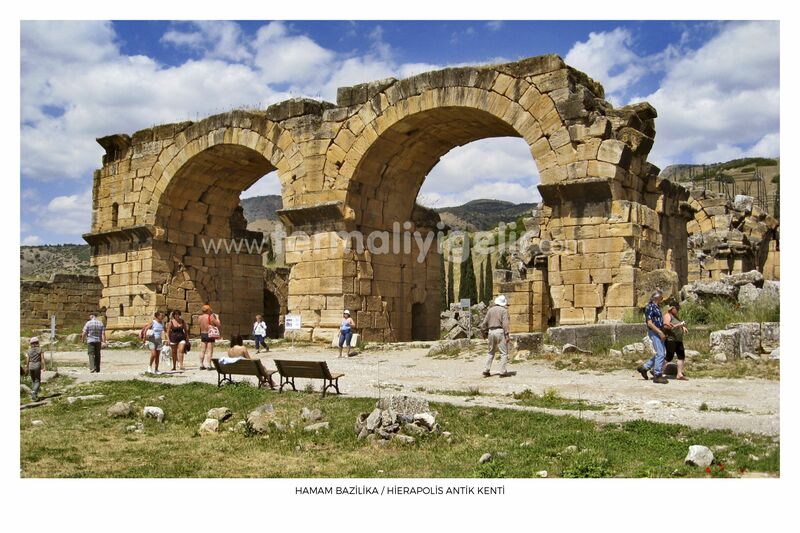 Located on the hill 22 km away from Denizli, Hierapolis ancient city in foothills of mountain of Babadag and Honaz resides in the valley formed by Curuksu river. 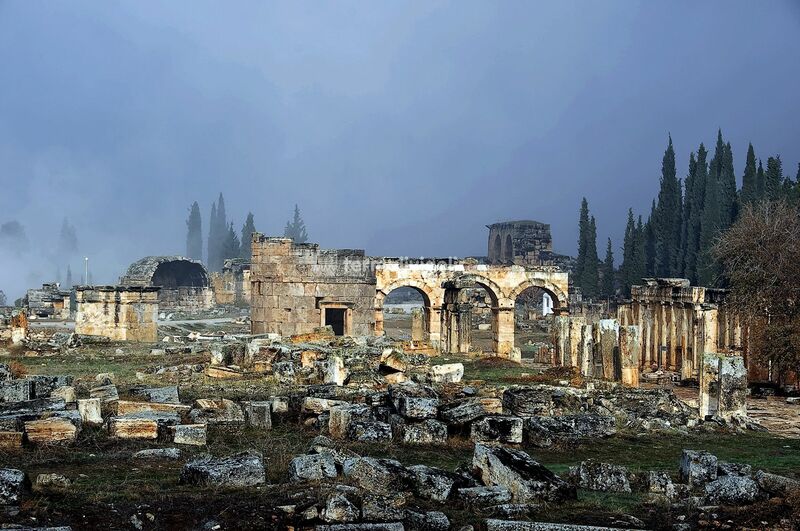 Throughout history, Hierapolis has hosted various countries with its ten thousand theatre holl, remedy and beauty pool, baths with hot-cold segments, the biggest and richest antique necropolises. 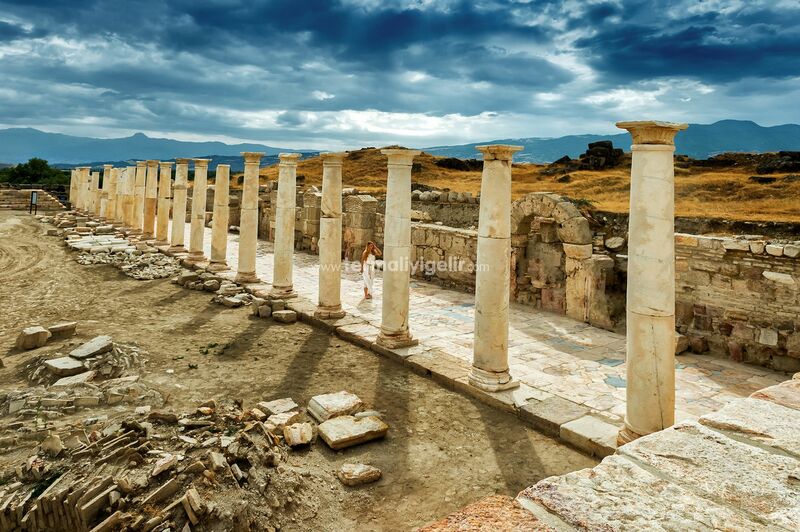 Kings’ city, Hierapolis has been favorite city within every periods thanks to fertile lands, healing waters, antique buildings and features of religion. The city where brilliant artefacts were built has succeeded to survive these artefacts until today apart from other antique cities. 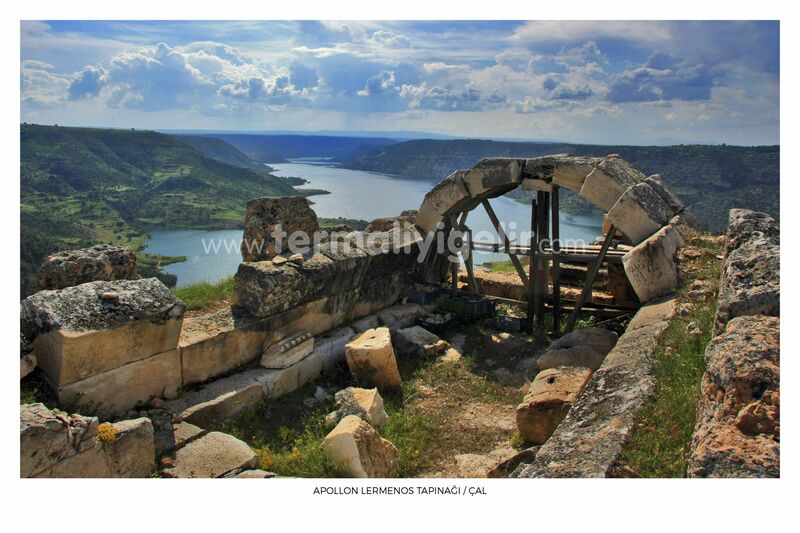 In addition, this area is called as Holy City in the archeological culture. The reason why Hiearapolis is holy city is that St.Philip who was one of Jesus’s apostles was killed here. After this situation had happened, significance of the city was increased by Christians. 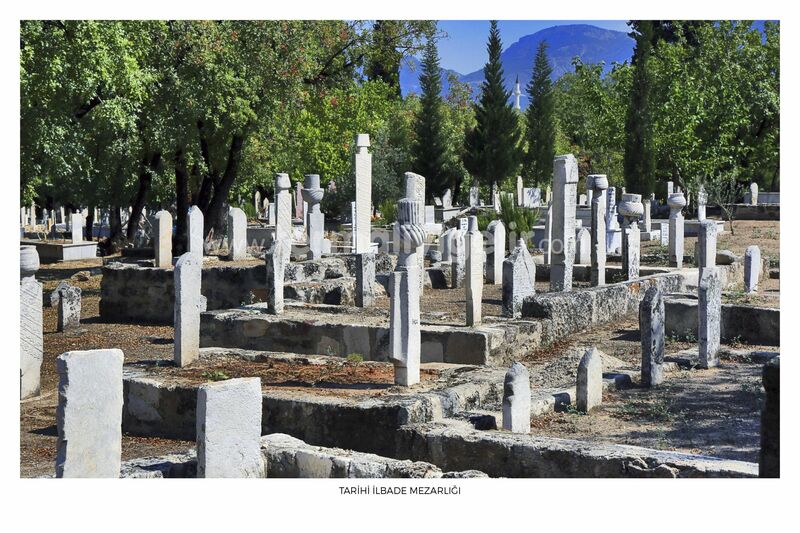 Antique graves seen in many of regions in this ancient city belong to rich christians. 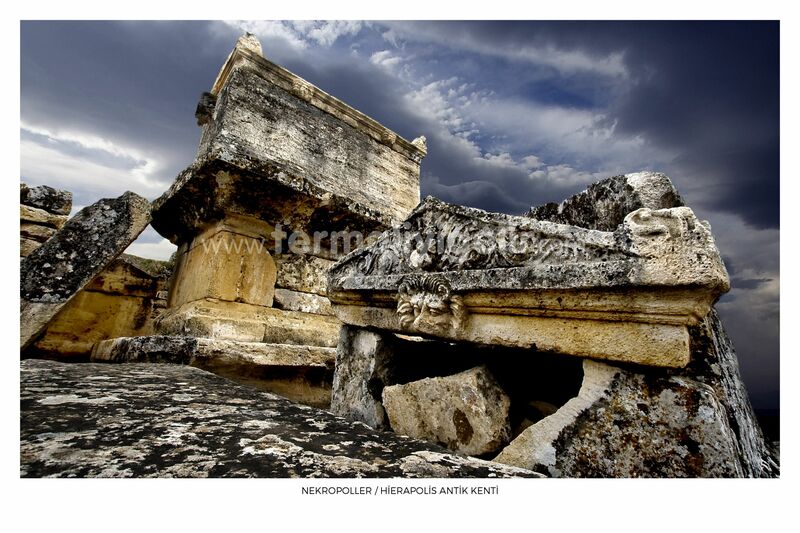 Hit by a lot of natural disasters throughout all history, Hierapolis protected original texture of the hellenistic period until taken place earthquake in the period of roman emperor Nero. 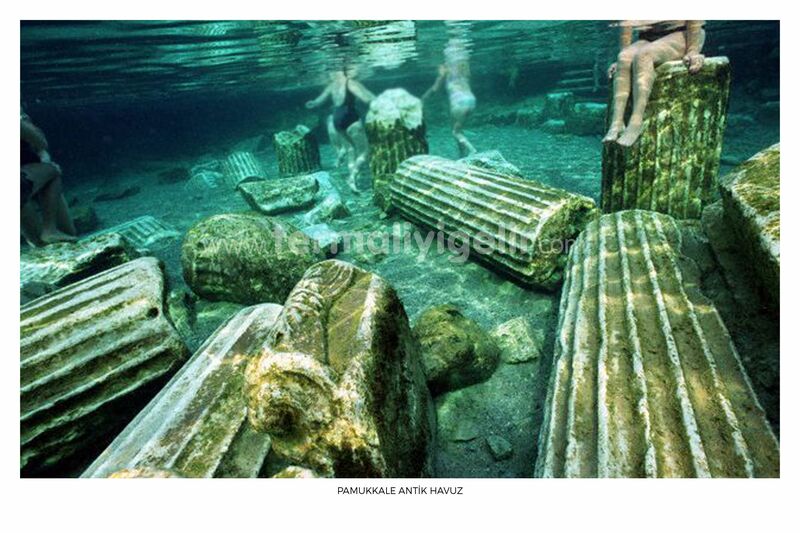 Called as Kleopatra Pool, Antique Pool is such a place that one should never miss. This is twenty three century years-old pool. 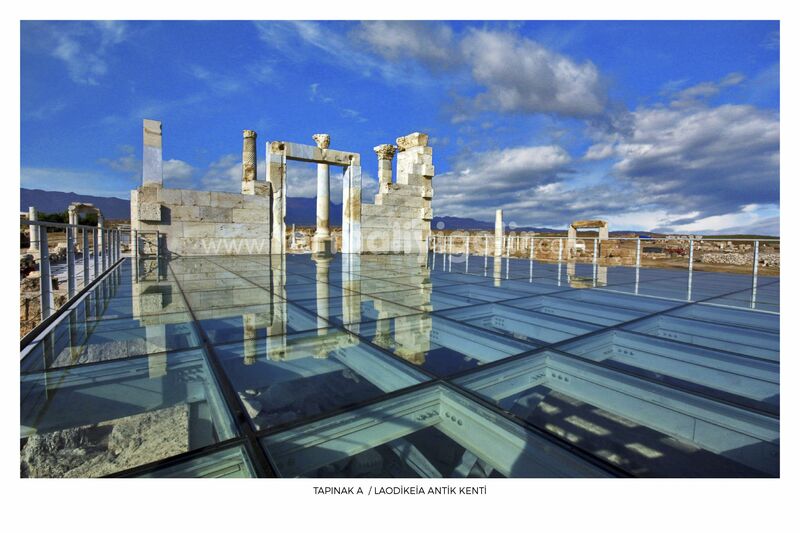 When a hole onto centre of the city was hollowed, as a result of occuring earthquake at one time, it throwed such a wonderful city columns into hole and then independent thermal waters filled in it and so Antique Pool was formed. 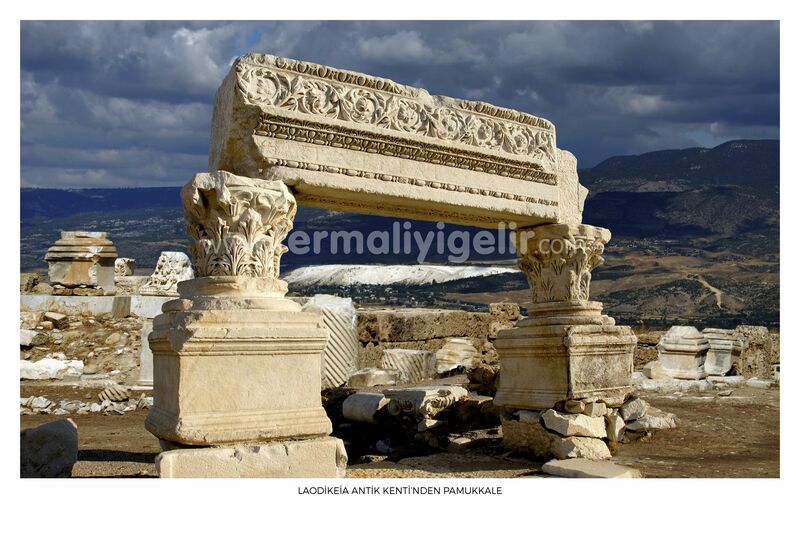 Located in a distance around 5-6 km away from today’s city centre, Antique city of Laodicea is assumed the first city to have been established in Denizli. 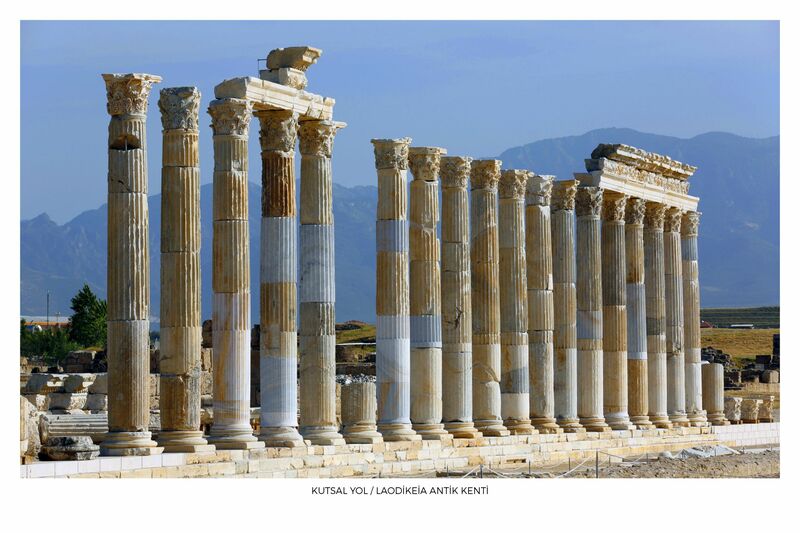 In 261-263 B.C, having been established by King of Seleukos II.Antiokhos to dedicated to her wife Laodicea, this city was destroyed as a result of terrifying earthquake in 60 A.C. . 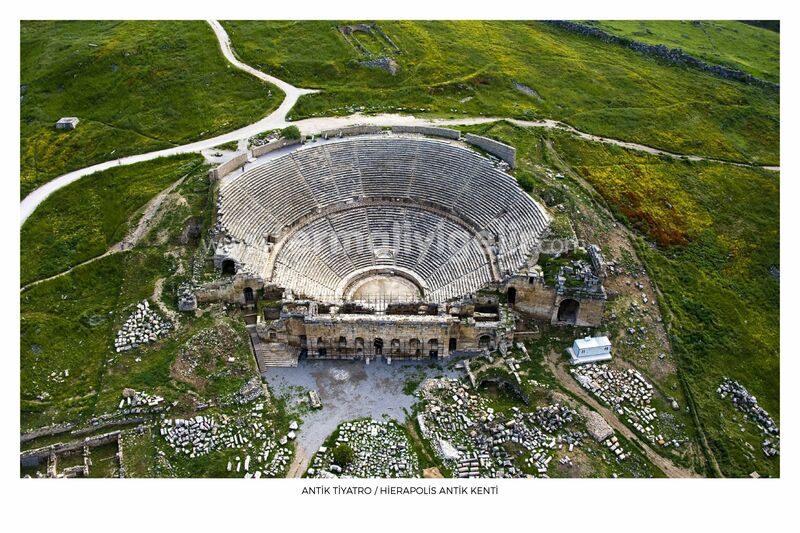 Although it couldn’t stand as strong , it is possible to see ruins of many buildings, including the biggest stadium in Anatolia. Such as: Two theatres, four baths, five agoras, five fountains, two monumental entrance doors, parliament building, temples, houses, churches and streets, etc. 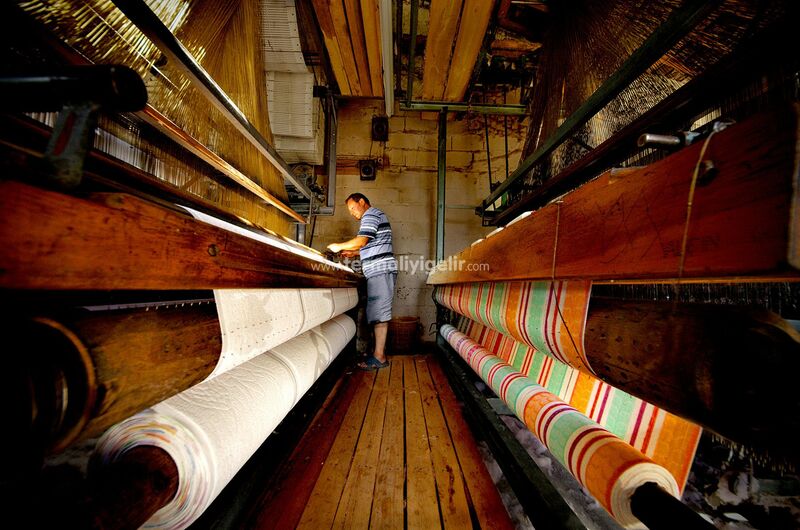 According to ancient data, in that previous years, products based on woolen weaving were very famous. 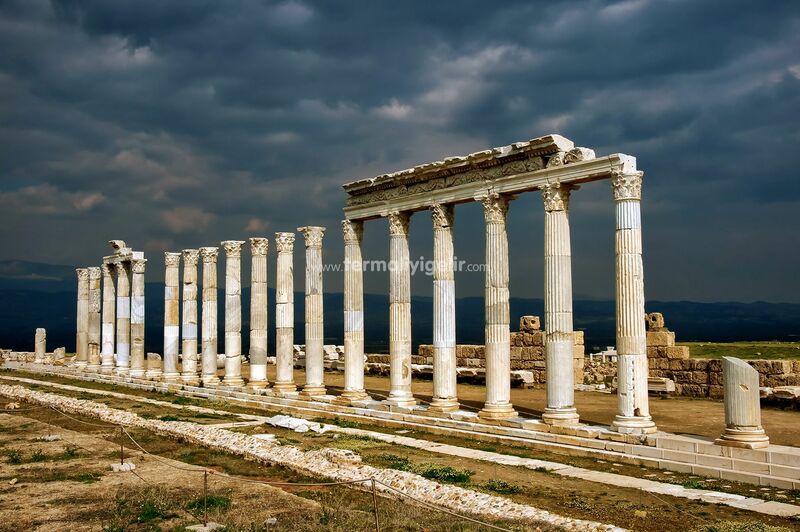 In Laodicea, there is also a church which is one of oldest and most important buildings for christendom. In view of this point, it is one of potential pilgrimage location. 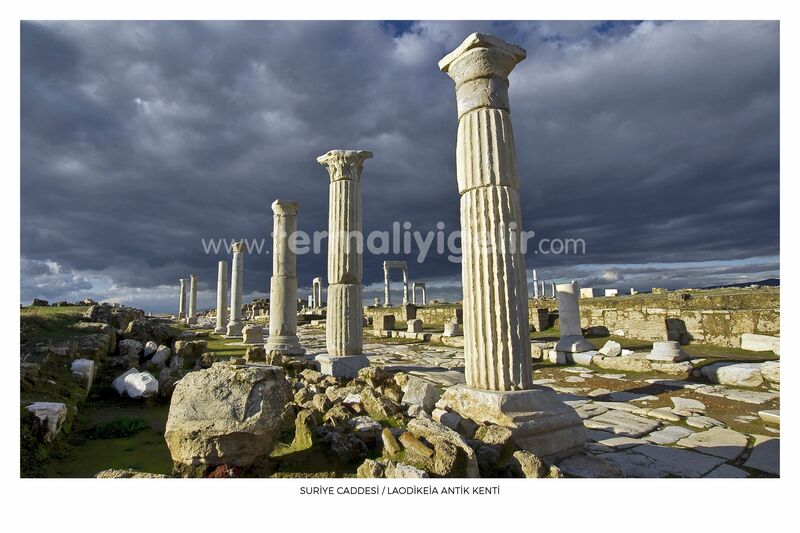 This site is a significant ancient city having been established on slope resided between yenicekent town of Buldan (40 km away from city center of Denizli) and Menderes River. 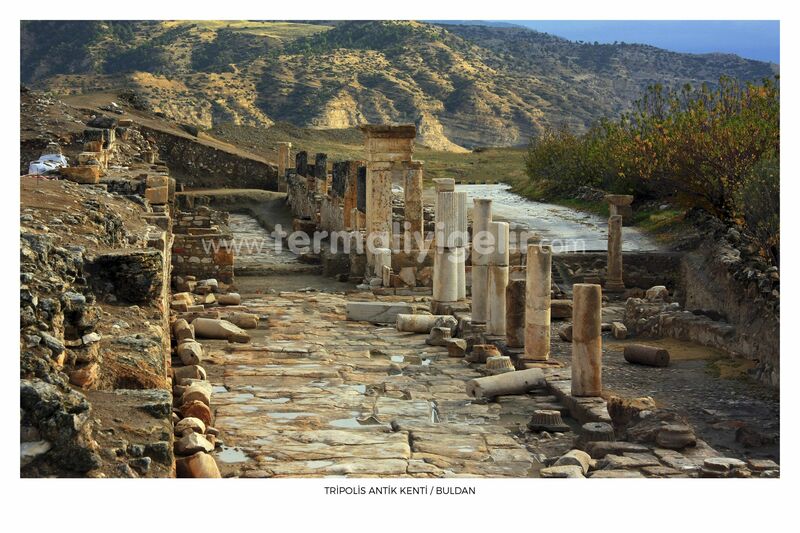 Established date of this city isn’t clear but in terms of ruins ,as a result of uncovered excavations, city life in Tripolis dates back late neolithic period - early chalcolithic period (5500 BC). 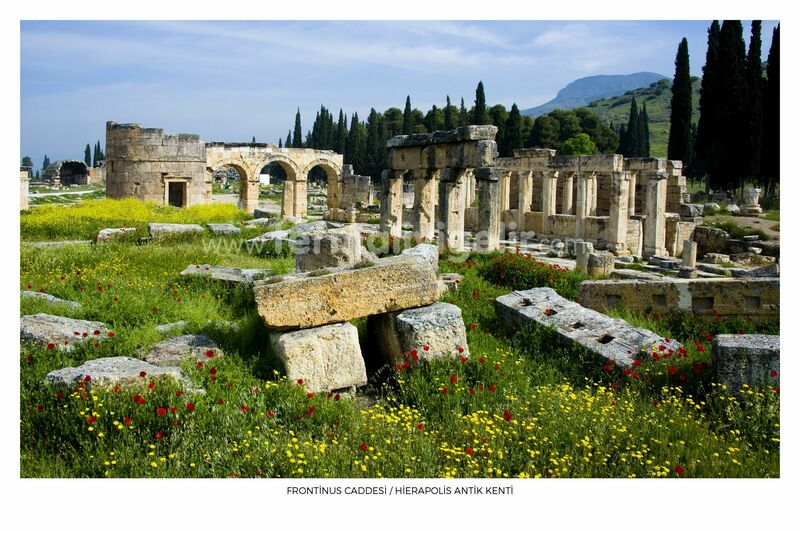 Thanks to its location on intersection of Phrygia - Lydia - Karia civilizations, here was valuable status as to trade and so Tripolis had opportunity of enrichment. 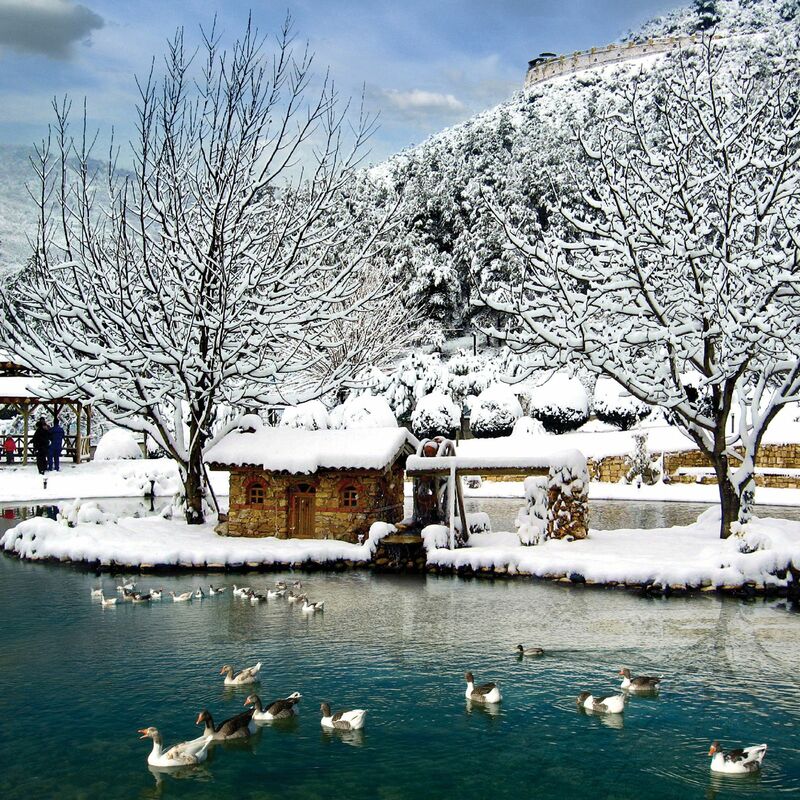 Denizli has wide geography upon healing waters and hot springs. 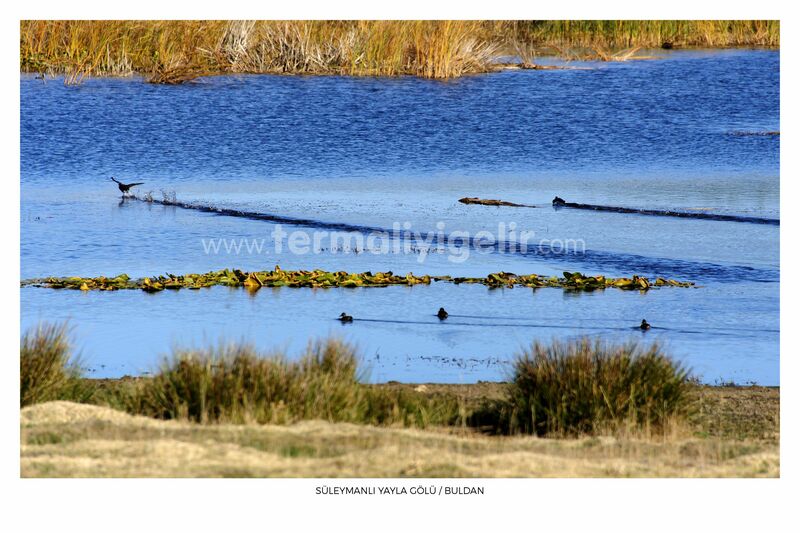 Thus, here is one of the most developed thermal tourism cities. 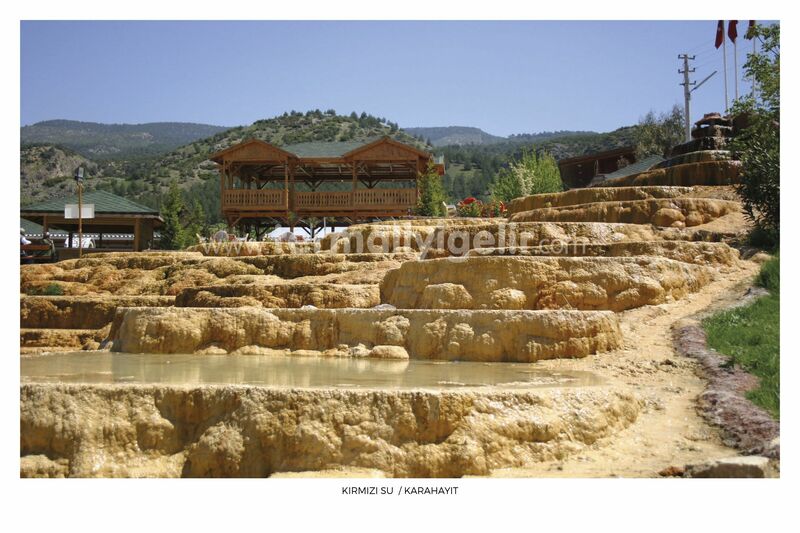 Hot springs in Karahayit district are taken apart in 5 km north side of Pamukkale and 20 km away from city center of Denizli. 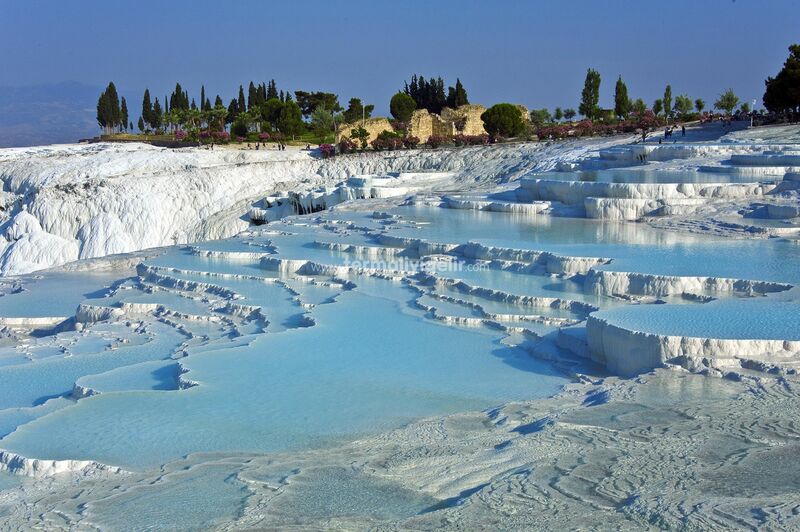 Features of this ground water in which mostly touristic hotels and hostels take a place are being rich about sulfate, bicarb, calcium, carbondioxyde and like these minerals. 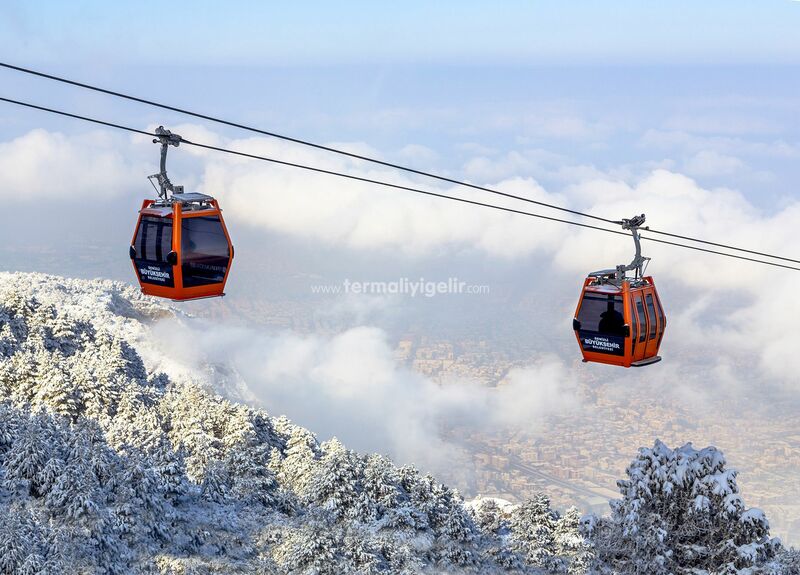 As cable car begins with altitude 300 in street of bagbasi, uplifting you to altitude 1400 by a trip including picturesque view for about 5-6 minutes. 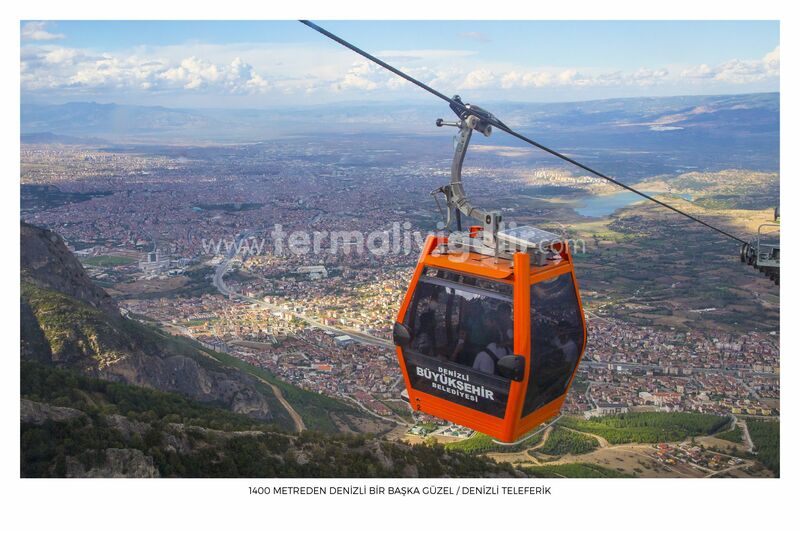 You can take a chance to sight fantastic view of Denizli on the top station behind of cable car, moreover, cafes displaying picture of Denizli wait you! 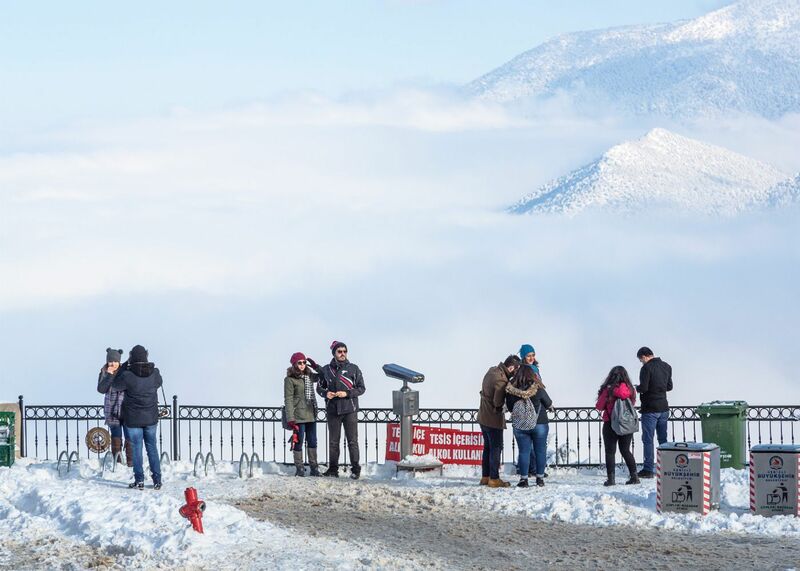 When you exit from cable car at the end, you can take many photos in terrace where one can enjoy a scenery all around Denizli and can eat delicious foods in company with this view. You can get rid of tiredness with a cup of coffee in peaceful - away from tension of life-place. 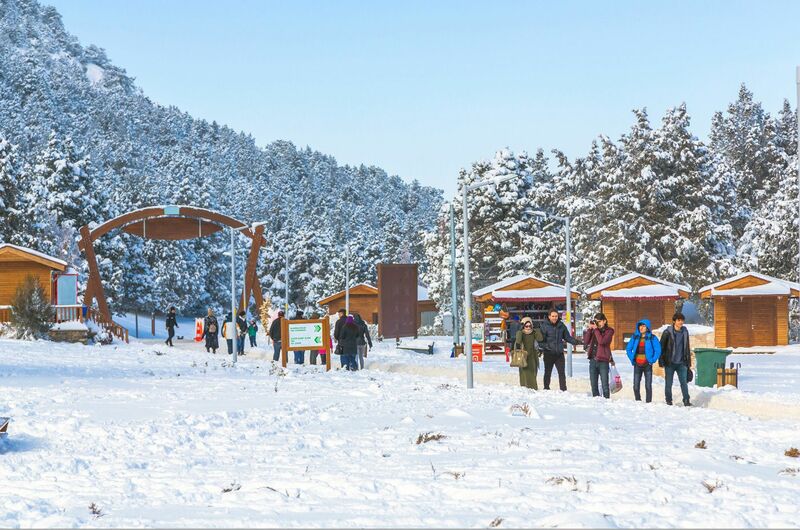 Bagbasi plateau is one of irreplaceable stations with unique nature and social facilities during the four-sessions. 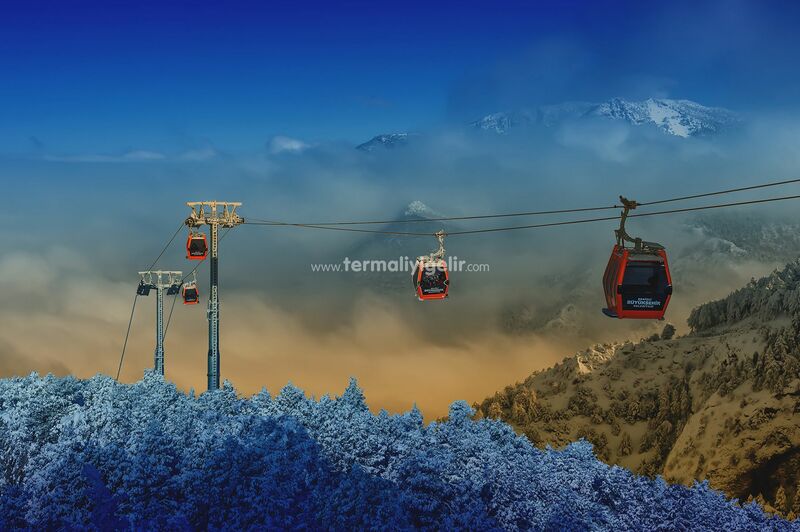 You can arrive Bagbasi Plateau in approximately 3-4 minutes by means of free cars each 10-15 min leaving from last stop of cable car. There are bungalows, tents , restaurants, picnic sites, shops, tent camp areas in bagbasi plateau as one of the amazing plateaus. 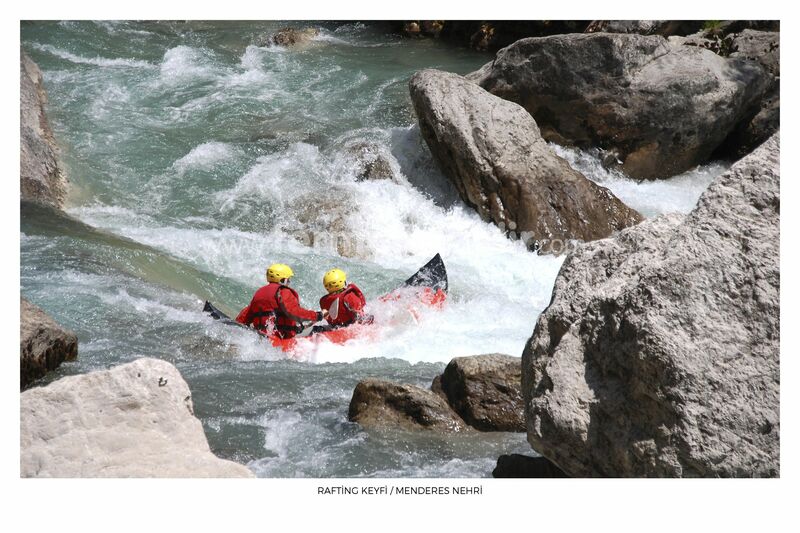 Given opportunities in this place provide with an opening wonderful holiday in touch with nature. During the staying period here, by camping in bungalows you can find easily wherever you want especially local shop centre and restaurants. Owing to the fact that the plateau is located in far away from external world, it is definitely suitable to make touchable conversation and also listen to the silence. 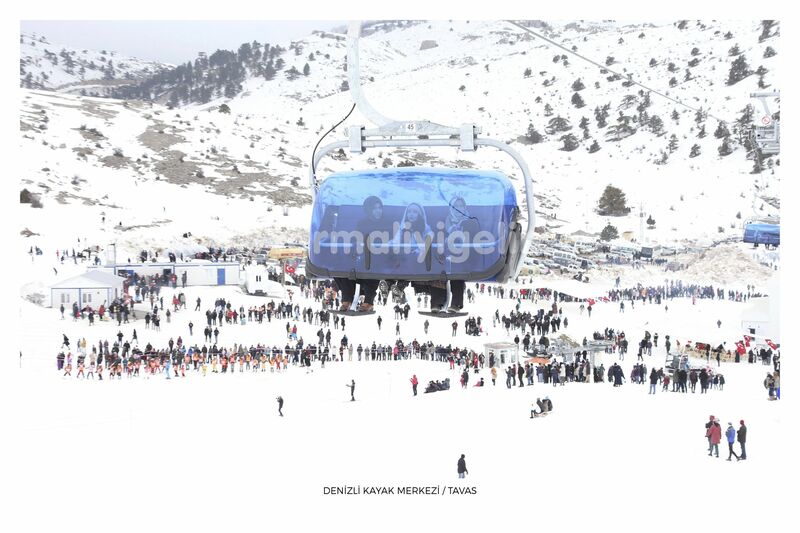 Bozdag, one of the highest mountains in this region with height 2350 m., locates in border of Tavas town in Denizli. 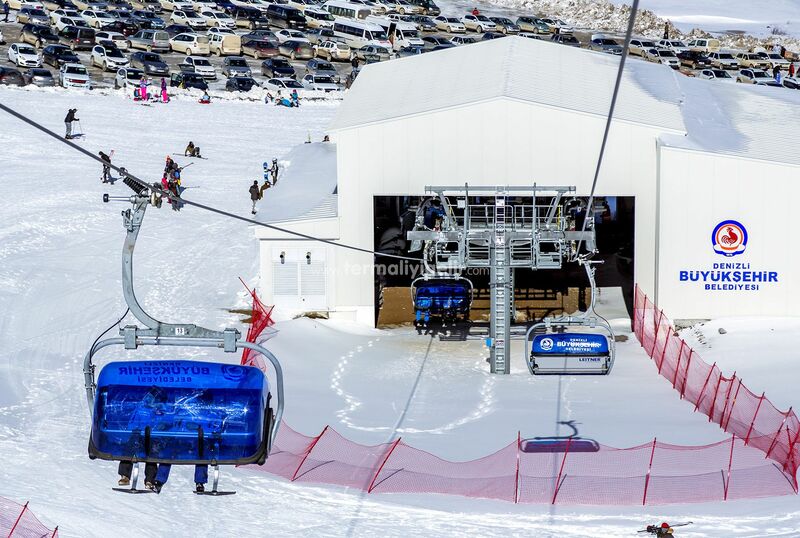 This mountain which snows settle on its ground along four- five months is very suitable for skiing by means of availability of track and snow quality. Established 11th century at the same time with founding of Seljuq empire, this bazaar, Denizli’s first centre of population , has hosted five states, numerous people and thousand of years of history of Denizli so we can just say that it is magnificently a historic field. 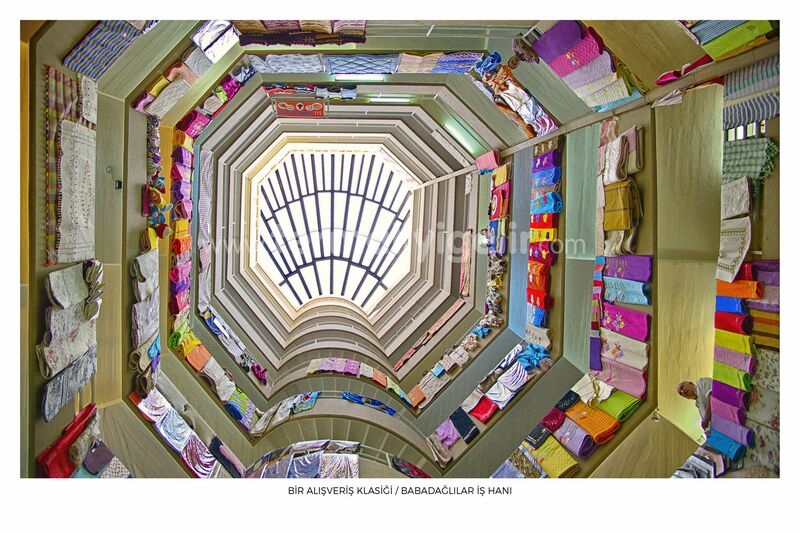 Combination of the bazaar and its energy help us to feel that we are at this place that our ancestors have lived . 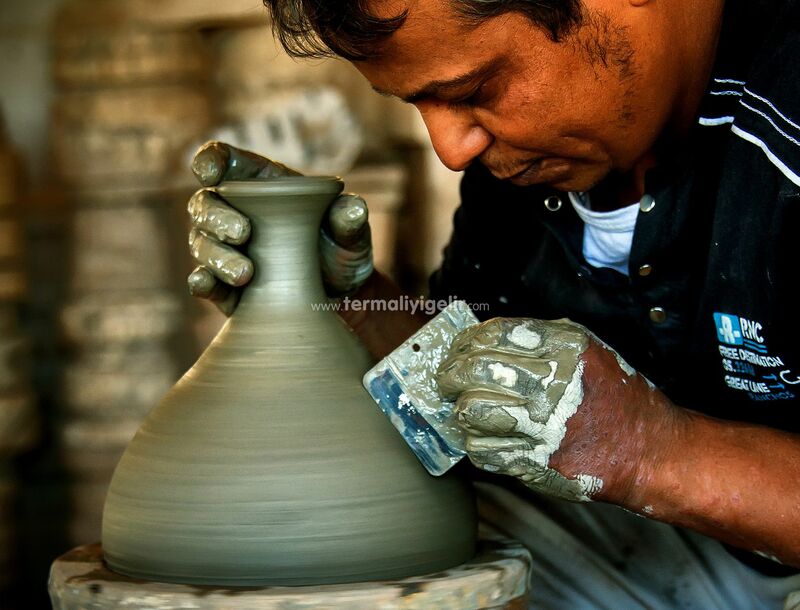 In addition, forging craft, even if it presently is going down day by day, is still being reflected as active. Visiting around here, losting yourself in its by-streets, comunnicate with ironmasters and shoe-dealers give you a feeling as if you travel inside of magical history. 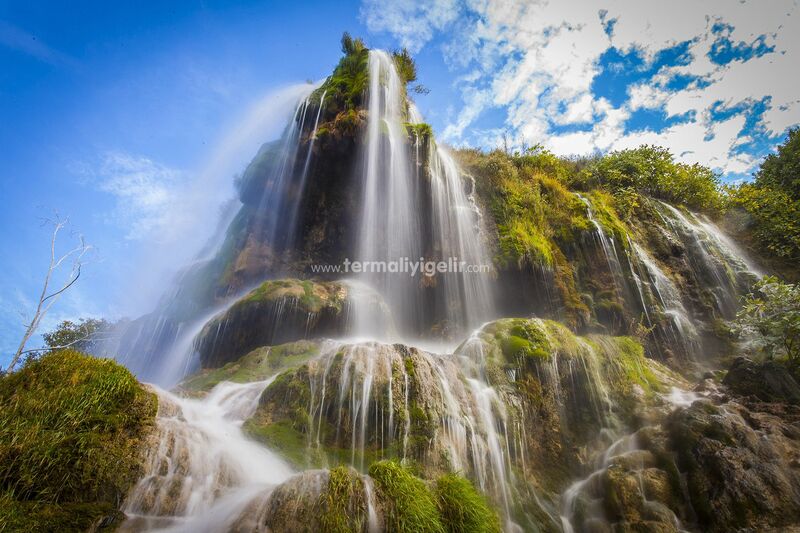 Impressing to those who see that , with beyond comparison of flowing water from its top, Guney waterfall resembles to a secret paradise. 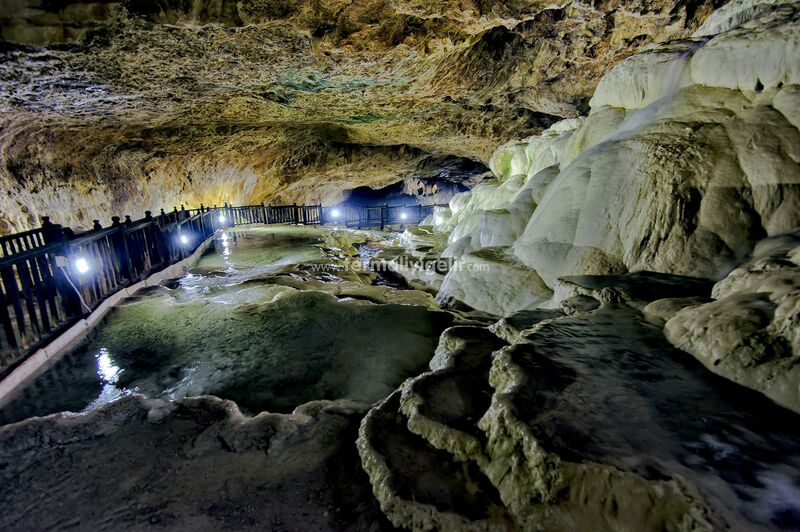 Waters in this location not only remedy plants but also play important role in occuring stalactites and stalagmites. People who want to say: hi mysterious world! 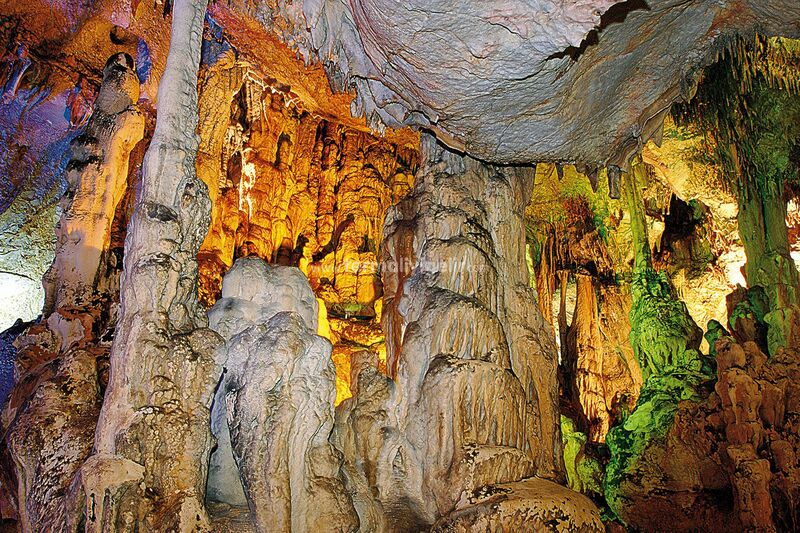 , be interested in spelunking and be nature lover don’t stop by Kaklik cave waiting you in Honaz district. 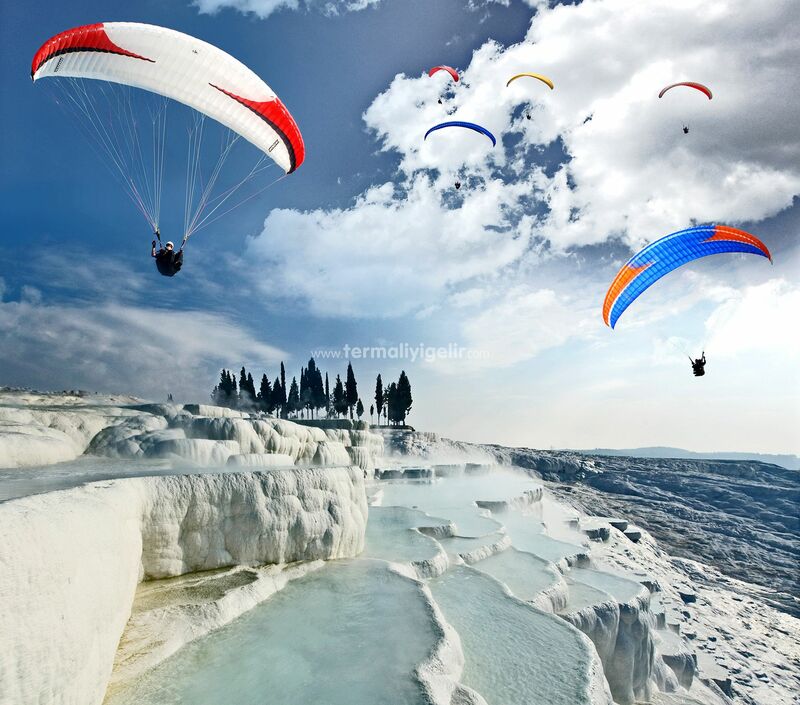 You are going to have visual feast through dripstone, droopy, stalagmite, travertines like in Pamukkale as going down step by step and dance inside of daylight. This is a field which you can commune with nature. 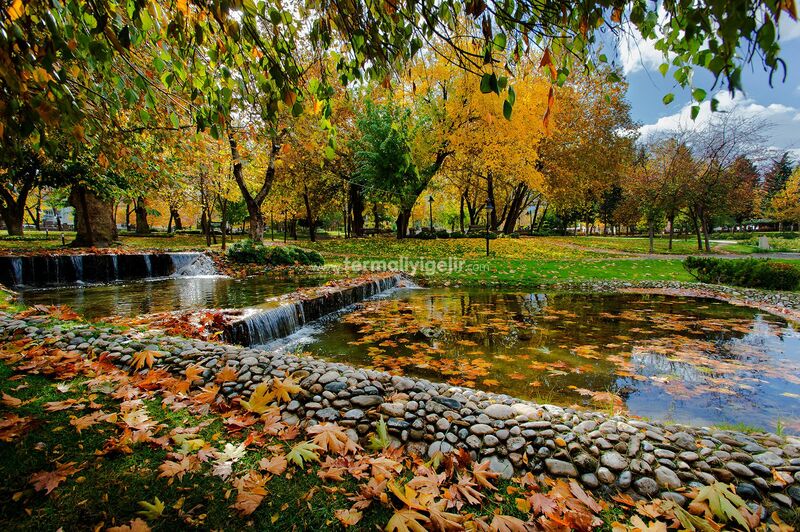 Don’t forget to have appointment with nature in the camlık park, so-called in the centre of city. 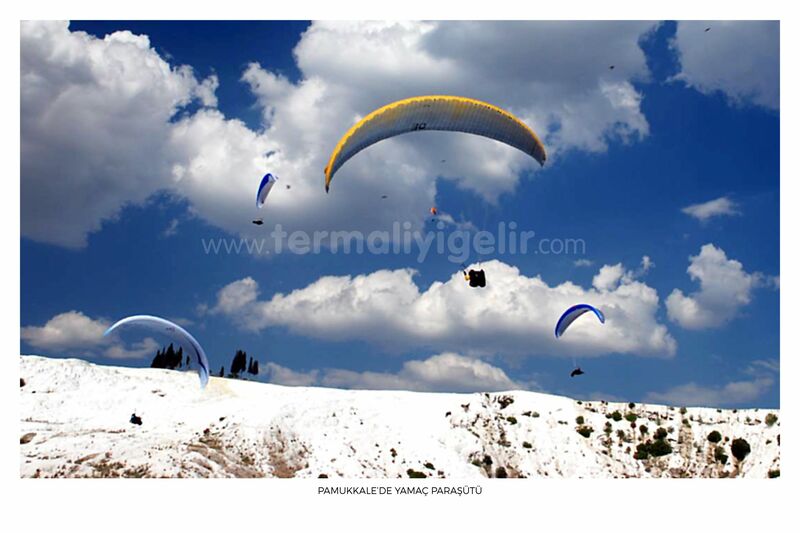 Paragliding by gliding along with birds in the sky, and also antique cities in Denizli and its unique nature can be excellent experience. 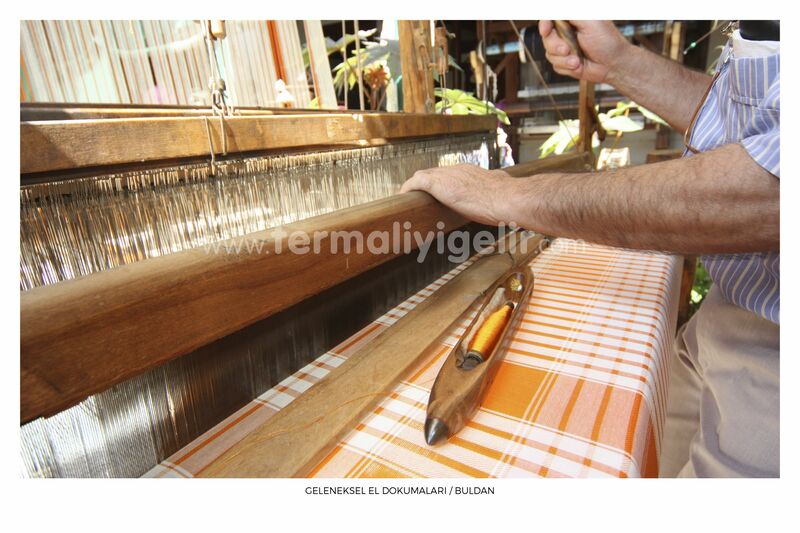 It is thought that weaving culture has been for 7000 years in Buldan and it is such a district that there are Denizli’s cultural texture and specific social life. 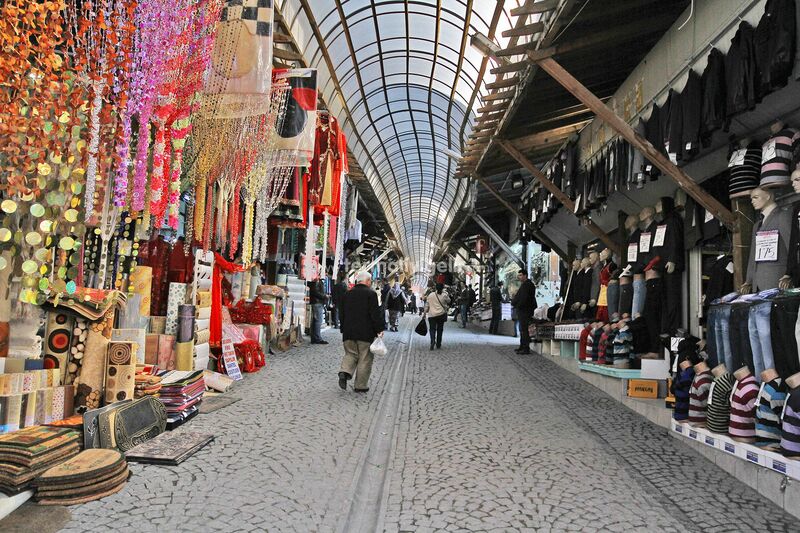 When you go to Buldan, don’t back without walking around looms and purchasing handicraft products. 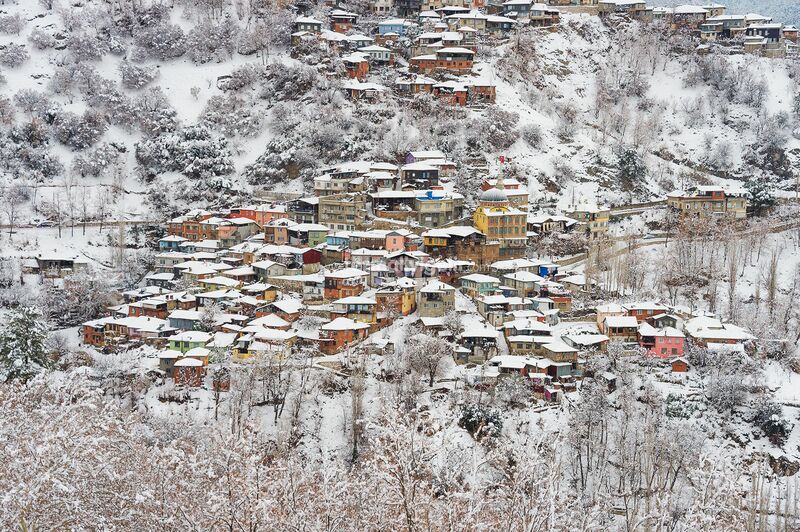 It is famous for tile roof, colourful historical houses and weaving , it is so cute town of Denizli: Here is Babadag. People still knit with hands here. 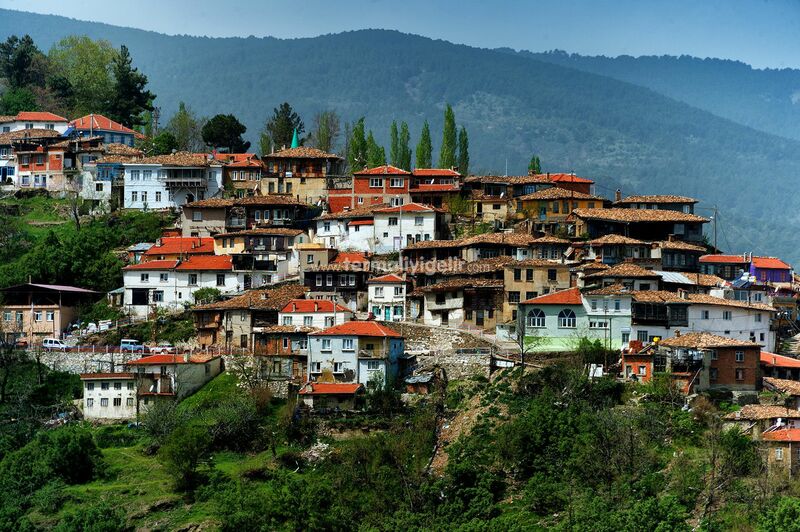 History of textile in Babadag dates back to 1200’s years.In 1950’s, this town took on 40 percent of Turkey’s production of textile back by itself. Furthermore, keşkek, (a dish of mutton or chicken and coursely ground wheat), tandoor kebab (kind of traditional food with meat cooked by oven made in a hole in the earth and lamb stew with vegetables of Babadag are so delicious that you never return with no taste! 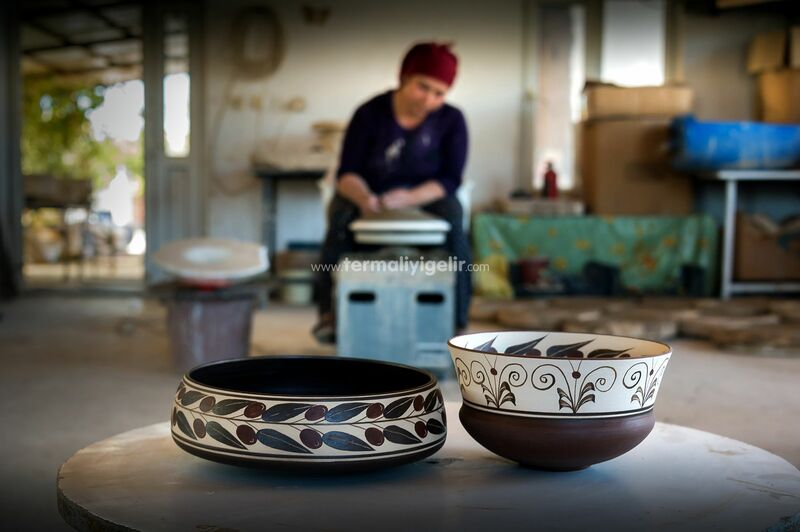 Produced in Serinhisar town of Denizli district, handicraft glasses receive a great deal of attention from all four sides of Turkey. When someone talk about pot not only Denizli but also in aegean region , first thing come to mind is Serinhisar. 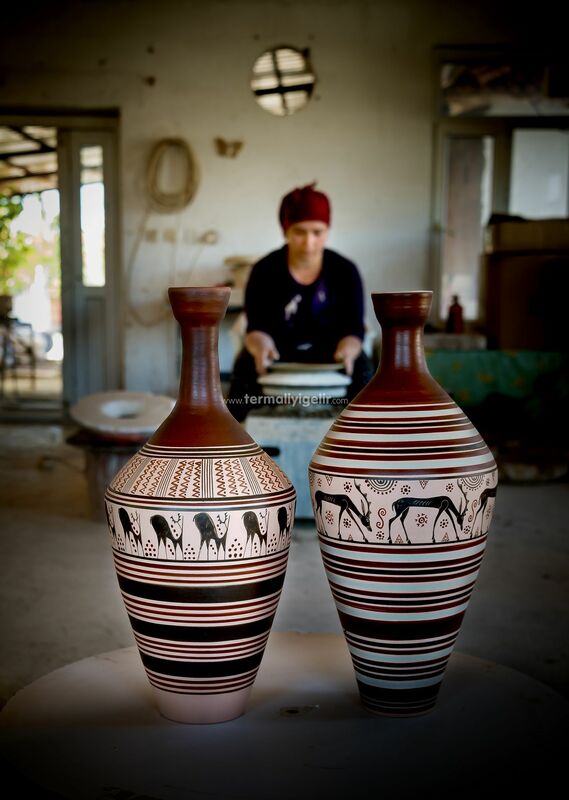 As each products -classify by pattern-long- that are shaped by dexterous hands of pottery masters’ are work of art, they dazzle with beauties. 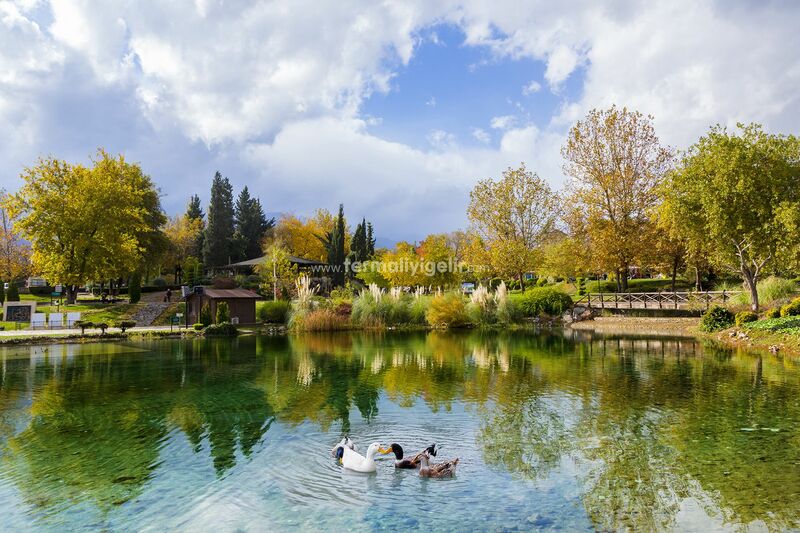 After successful works by Metropolitan Municipality of Denizli, incilipinar park, being the most beautiful park of Turkey, hosts to the best shades of gren and blue with rich water source and lush flora. 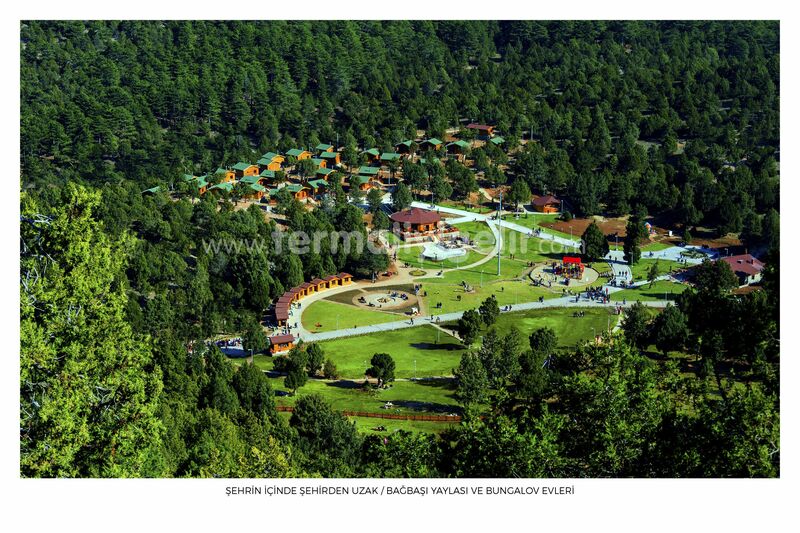 Being the biggest park in eagen region and having fame as pearl of the aegean, this park got reward of ’’Green Flag ’’ which is designed to set national pace in parks and green areas in the world. Green Flag that is a model for other institutions and organizations to provide high environmental standard represents excellence scale in recreational fields. 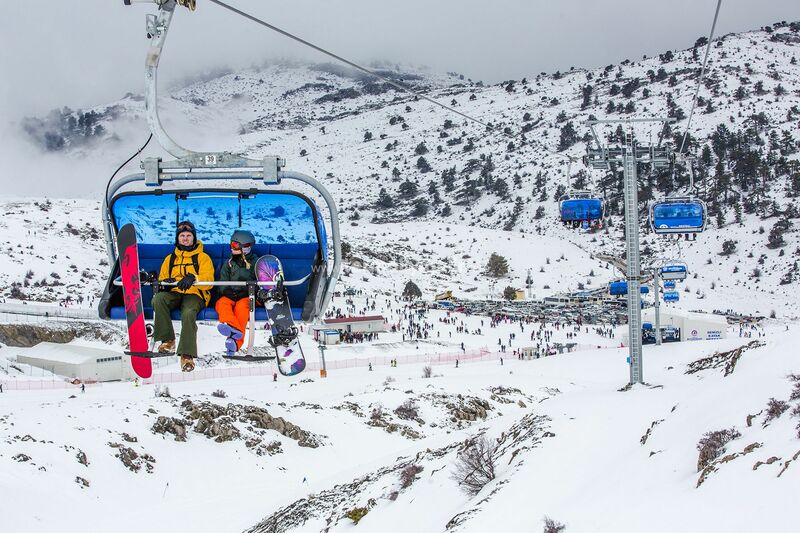 Designed to set national standard in parks and green areas in U.K and Wales in 1996 , this reward has been obtained by incilipinar park for the first time in Turkey. 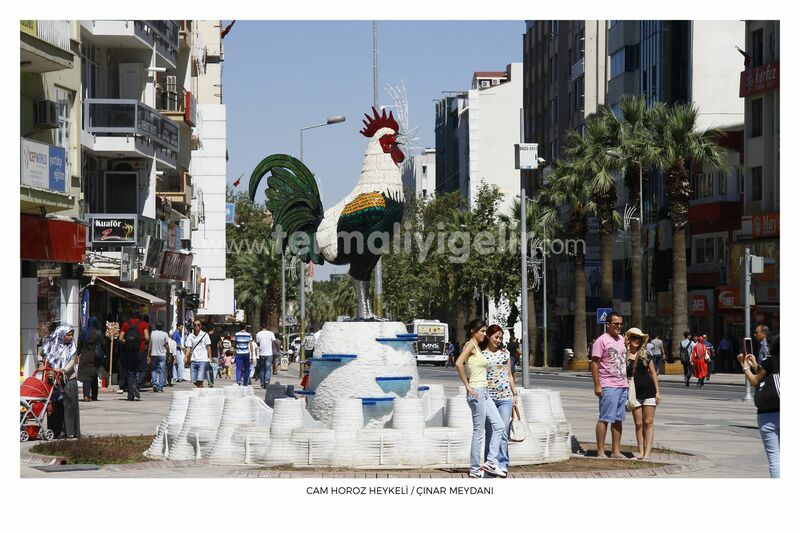 Denizli Metropolitan Municipality, which brought in the biggest glass statue of Turkey to Denizli, one of the important centers of glass art for thousands of years, accomplished something unique in this field. 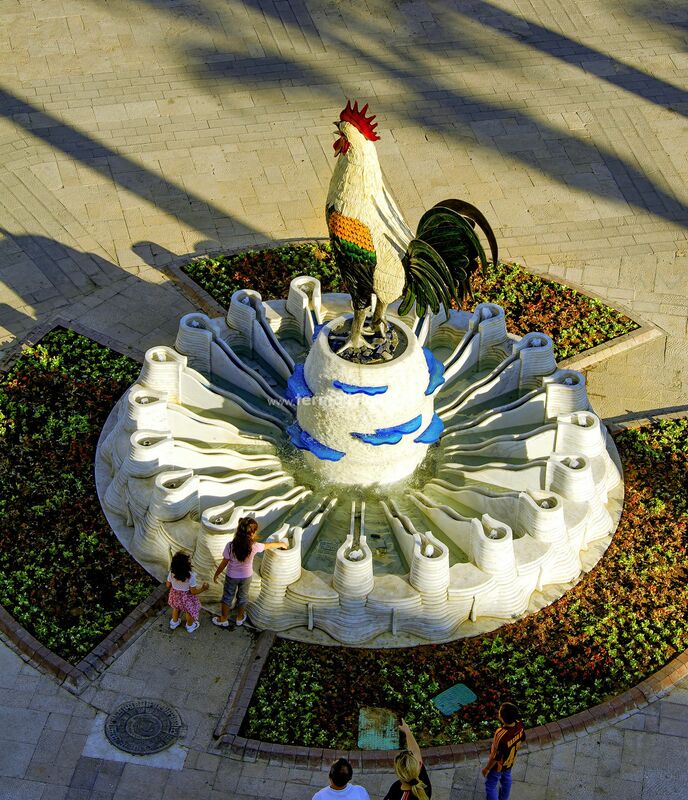 Located in 15 July Sehitler Deliklicinar square in centre of Denizli district, glasss rouster sculpture is the symbol of Denizli from antique era to these days. 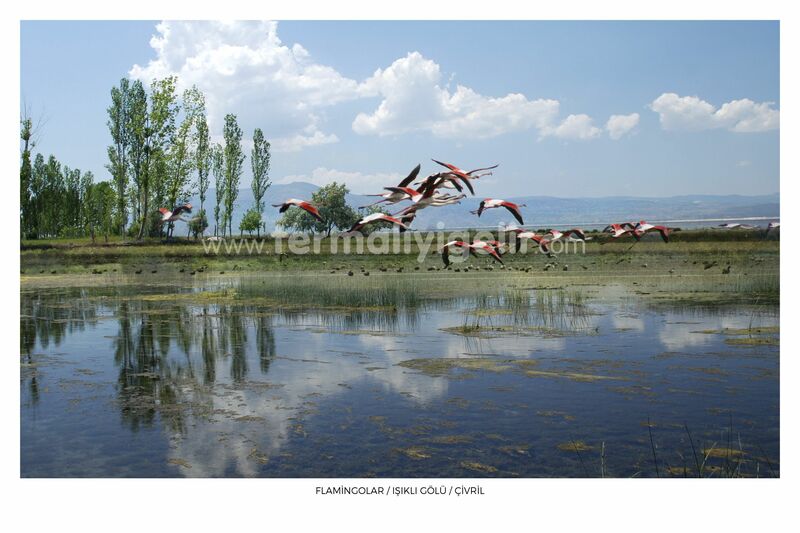 Being pearl of Civril and hosting to hundreds living creatures, isikli lake has surface area of 6.587 km2 and also its height from sea level is 814 m. Isikli lake which is the leading of adresses that can be stayed alone with nature in Civril. In addition, here is one of the means of living for Civril locals. 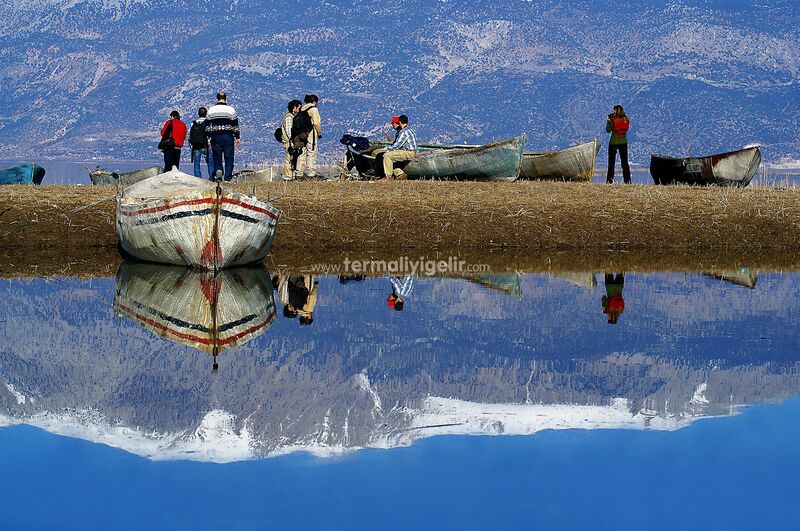 Isikli lake, where a lot of boats float in four- seasons , becomes a place for fisherman within beginning of the open season. 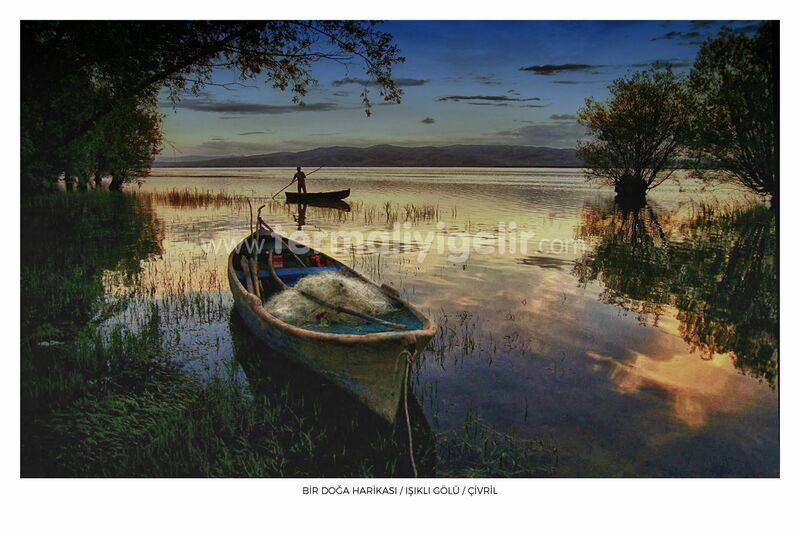 Its unique waters are home to kind of rare birds ,such as: Alaca Balıkçıl, Bıyıklı Sumru, Karaboyunlu, Batağan, Erguvani Balıkçıl, Karabaş, Martı, Çeltikçi etc. . Nymphaeas ,called as Nilufer in turkish, on the isikli lake which are transformed different colours in all season exhibit visual feast from mid-June periods. 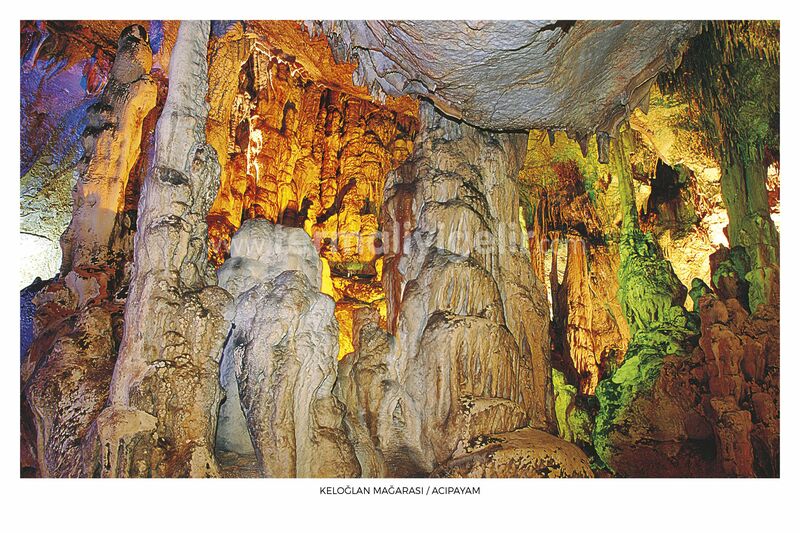 Keloglan cave which looks like huge forest of dripstone with stalactites and stalagmites formed by limy water drips, is one of the fourteen caves open to visitors in Turkey. 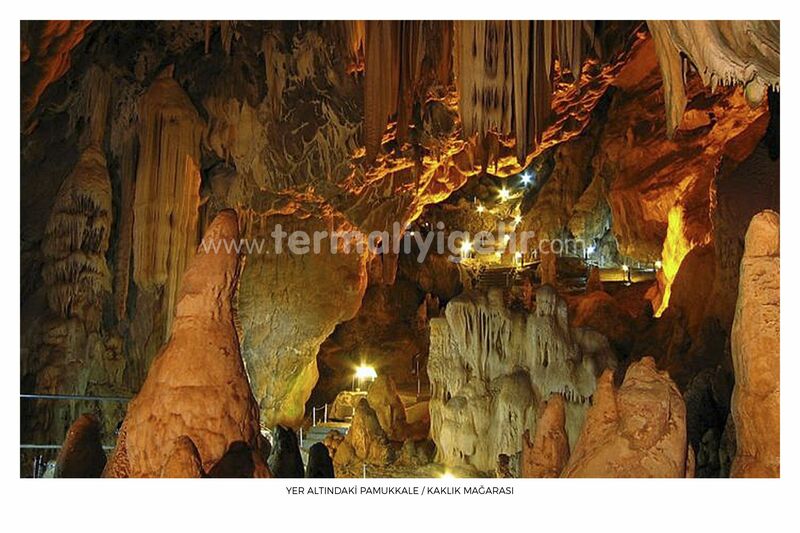 The air in this cave has recuperative effect especially for respiratory diseases. Achieving to keep centuries-old Efe Culture alive till today, bendy boot is one of the essential costumes of Efes in Tavas known as land of Efe. Having imposing-looking with hand-tooled handkerchief, sash and fez, Efe of Tavas also makes a strong impression by setting foot on land with bendy boot. If Tavas Efes stay in balance ;though, put one foot in front of the other and cycle hard, it is most probably thanks to bendy boots. All aside wearing these boots , consisting of non- slippery on footbed and manufactured completely leather, additionally manufacturing these shoes is not every brave man's thing to do. If the topic is about manufacture of bendy boot by completely hand-workmanship, first person come to mind is Master Sevket Cotul. 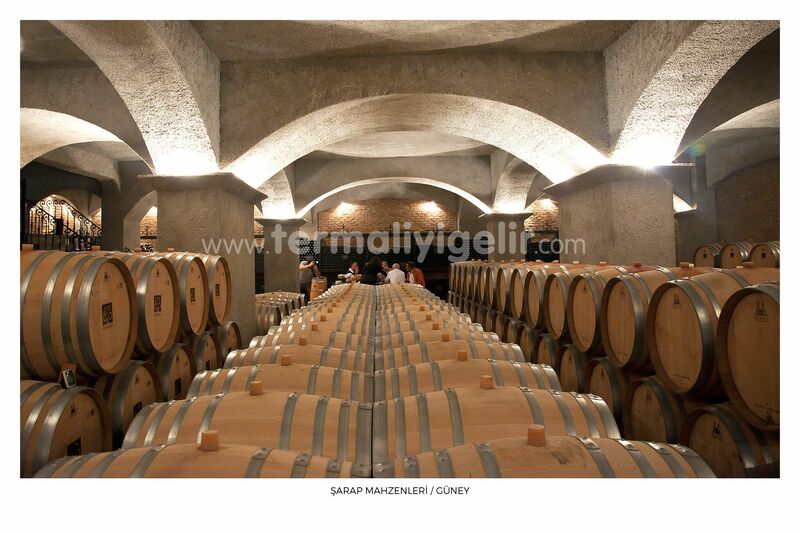 Furthermore, Mehmet Ciyan from Tavas is also one of the brilliant masters. 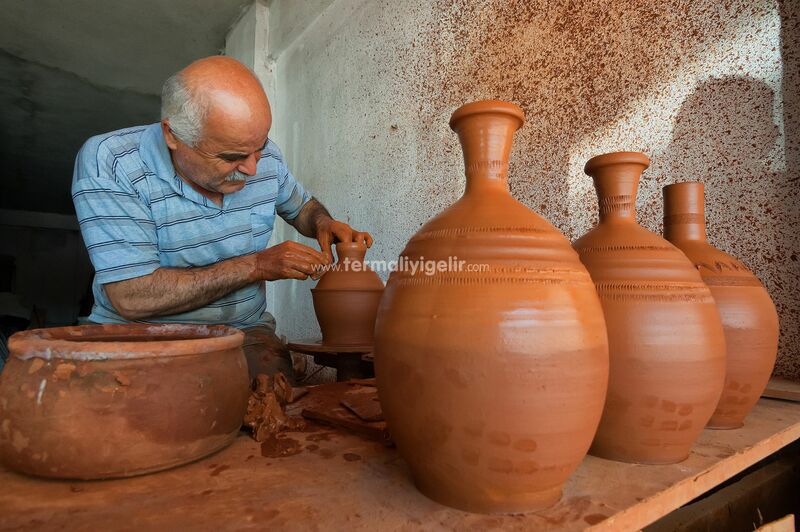 Terra-cotta which traces back the last hititian in Tavas town of Denizli is a fascinating branch of art. It is possible to see traces of the previous history of hundred years in many of art of terra-cotta produced in Tavas. Garnishing with different interesting portrayals and alluring with elegant lines, these works clearly pose lifestyle of that periods. When using forms of these works,one of the best examples of anatolia culture, are considered, it dates back to many years ago.Sainted Necip Savci who was the best master of terra-cotta all the times, crucially contributed to improvement of art of terra-cotta by using his own technic in his house, named as Galery of Terra- Cotta Antique Art in Medet street from Tavas town.Today in this workplace, son of sainted master Necip ,Hasan Ali Savci, has been maintaining this craft. Although there are other cities famous for roasted chickpea in our country, %70 of it in Turkey are produced in Denizli. The first place for chickpea production in Denizli is Serinhisar town. This is a kind of inn and inside of it all around covered by many bathrobes, table sheets and short of home textile products . Here is very important area for local culture. As you think, when you ask to whoever in each city about where you know totally in your city, here it is answer : Babadaglar Arcade For Denizli! Office building got started in 1976 and this arcade is irreplaceable for Denizli locals and foreigns on shopping of trousseau, towel, bathrobe and hand woven from this date to right now. 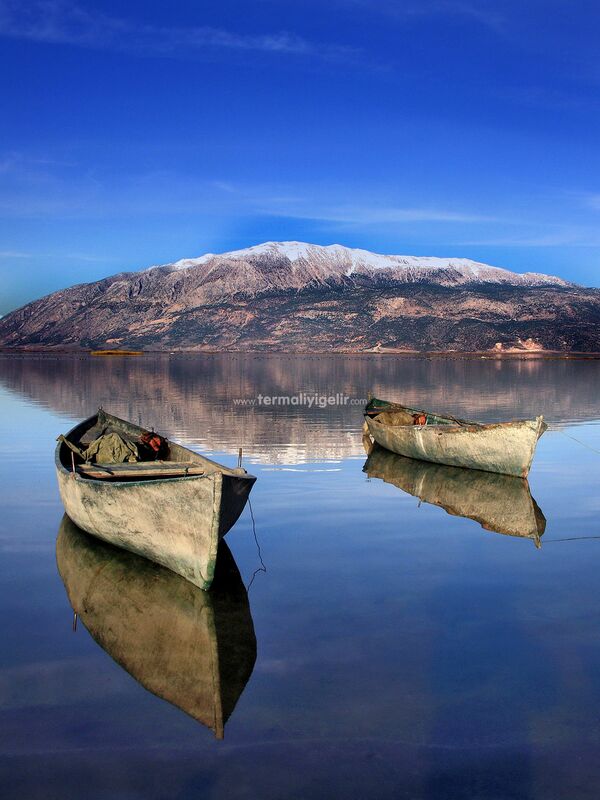 Honaz mountain is the highest peak of aegean region with altitude 2.571 m. It is a naturel border which seperates aegean region and mediterranean region. 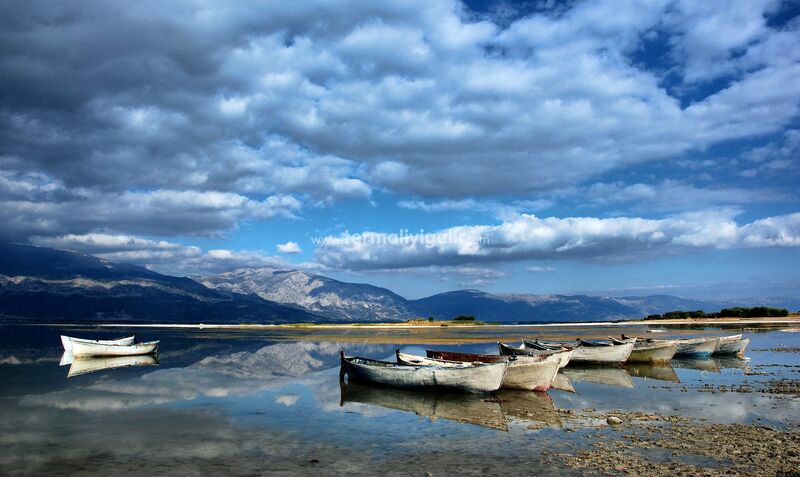 In mountain region of this national park, there are endemic plants and kind of animals. 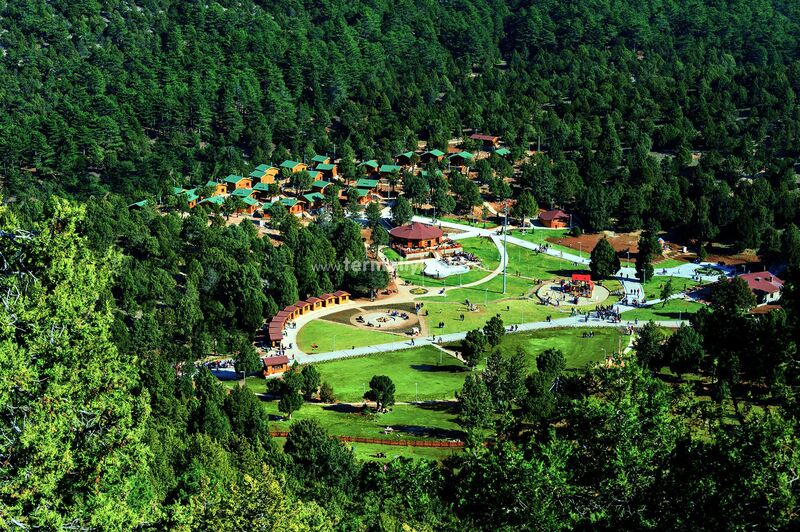 When it is the case, here is one of popular destinations for paragliders, trekkers, cyclists, campers, nature photographers and bird watchers. What are the benefits of thermal water?